Dated and inscribed ‘Kmm.4 March 1854/9.A M’ (lower right) and further annotations throughout. Pen and ink, heightened with white and wash, unframed. 15.5 x 25cm (6 1/8 x 9 13/16in). 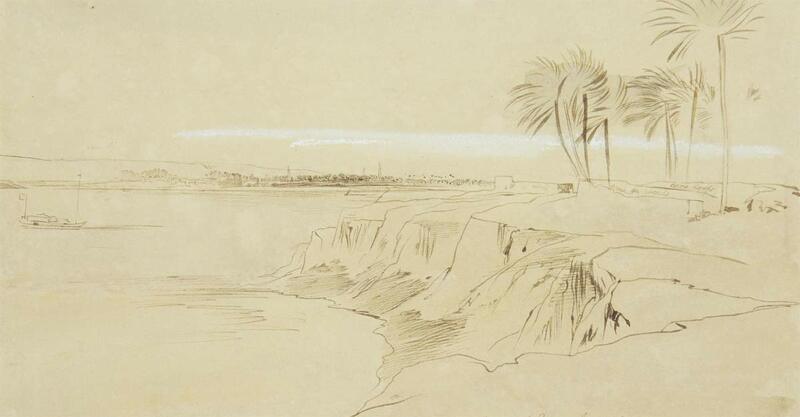 This entry was posted in Edward Lear and tagged Edward Lear, Egypt, travel, watercolours. Bookmark the permalink.